GrandTotal is an application to create invoices and estimates based on your own templates. The built-in template editor allows you to adjust your layout to fit your company’s corporate design. GrandTotal works great in conjunction with TimeLog. QuickBooks 2016 r17 – Financial management and accounting for small businesses. 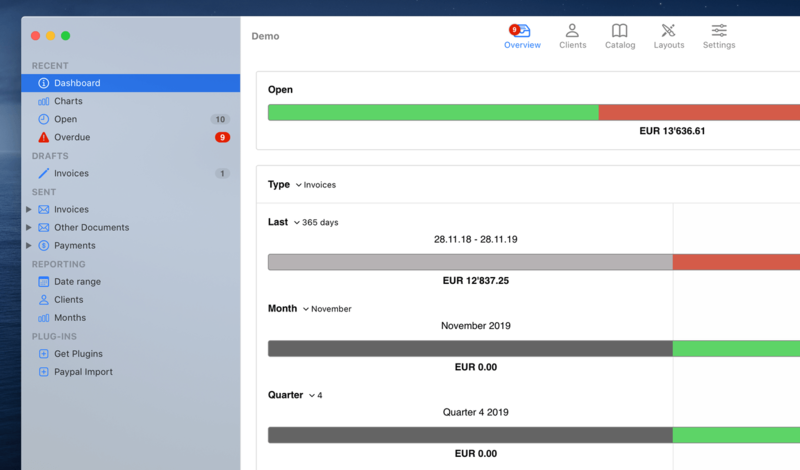 GrandTotal 4.4.1 – Create invoices and estimates. BeanCounter 1.0.13 – Bookkeeping, time tracking, and invoicing for small businesses.